Home / Ask Pepe / When is the best time of year to visit Chile? When is the best time of year to visit Chile? The climates of Chile are so varied that there is always someplace you can comfortably visit any time of year. It depends on what you want to do and where you want to visit. Summer months span from December to February. Many think this is the best time to visit Chile. Keep in mind that this is the peak season since not only are foreigners visiting the country but the Chileans are also taking their summer vacations. The farther south you travel, the more unpredictable the weather. Most people chose to visit Patagonia in the summer months. 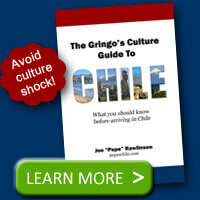 You may want to consider traveling during Chile’s spring (October/November) or fall (March/April). These times won’t be as busy since school is back in session and the temperatures are cooler than during the summer months. Chilean winter tends to be cold and wet through most of the country. You can travel any time of year to northern Chile, like the Atacama Desert. Easter Island also has a fairly steady climate year around. As of today I am unable to purchase the book: Surviving the Chilean Jungle (which you mentioned here long ago), except on Amazon for nearly $100 US !!! I cannot access anything about the discounted sale on this book at the website: http://www.chilenosdichos.com , although elsewhere it was advertised that the book mentioned above could be purchased there. It looks like the author’s site isn’t up and running. 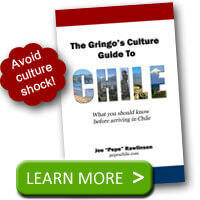 As an alternative, you may be interested in the “Chilenismos” book which is a thorough collection of Chilean slang. I want to retire in Chile. I like Andes, Las rocas de Santo Domingo or Puerto Varas. I am a little concern about the earthqueakers and I do not see much about hiking or biking in Chile. Any suggestions about this cities. My husband likes San Martin de los Andes and San Carlos de Biriloche in Argentina, but I do not like the corruption in the Argentina Government. Chile. I’m not familiar with Las rocas de Santo Domingo. of the country where there is so much natural beauty to explore.